If anything, doing a blog post each Tuesday makes me realise how fast the weeks are disappearing. Last week was entirely dedicated to one client, and I will be working with them this week too, so sorry I haven't been supplying many illustration updates on my social media or website. It seems that the better the clients get - the longer I have to wait to show you the work! This week I found a lot of things to swoon over, from NY Fashion Week snaps to new magazines launching I have a little too many to share, but here are some of my special favourites from the week finishing Feb 12th 2013. 1. 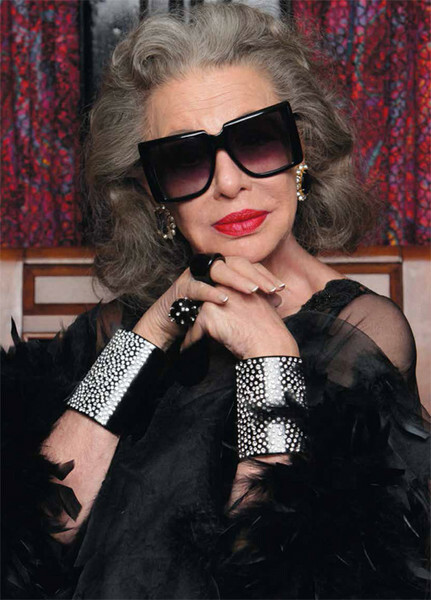 Karen WalkerForever eyewear campaign - Proving that style gets better with age, the latest models in Karen Walker's Forever eyewear campaign range in age from 65 years old to 90. Using their own homes as backdrops and styling themselves this clever campaign inspires my wardrobe and warms my heart. The imagery is also supported by interviews with each of the models so you can learn more about these fabulous women. 2. Darkness of Noon - I know the swoon is supposed to be separate from my own work, BUT advance copies of my book have just arrived! More updates soon. 3. Celine 105mm Plexi Demi Wedge Pump - Miss Louise boutique in Melbourne have just received these beauties with a bronze perspex heel. Im a sucker for a metallic as it gives any outfit an amazing pep up, I also love the clean white leather, these are forever shoes (providing you don't scuff!). 4. 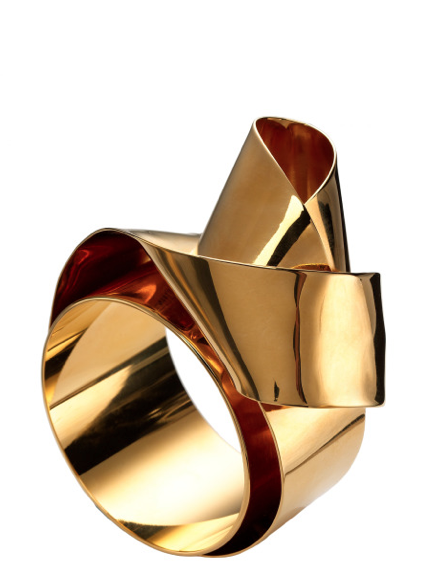 Vionnet Sculptural Ribbon Cuff - If I could only wear one type of jewellery for the rest of my life I'd choose cuffs. I'm particularly enthusiastic about this ribbon cuff from Moda Operandi, that little gap detail between the cuff and the bow and the shadow it creates is divine. 5. Solna Station Stockholm Sweden - Driving around Melbourne I do feel disappointed to see architects building cheap apartments on top of historic warehouse buildings, with little regard for the building or aesthetics. Luckily for us some architects have a little more vision as demonstrated with this spectacular ceiling!